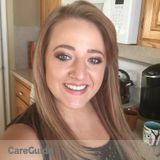 Want to connect with Michaela? I am 24 years old , looking to make a change in life. I am currently a hairstylist and looking to move away from that. I have experience babysitting, and helping out with my two nephews, both under five, experience in tutoring if children need help with schoolwork. I am a high school graduate, and attended some college classes. I am a very patient and overall a happy, fun person. I love animals as well, so if you had any that would not be an issue. I have a car (its fully covered) , and am a very reliable, punctual individual. I am a very neat person, could do cleaning duties if needed. I am knowledgeable about emergency procedures, was CPR certified and will re-certify upon request. I am Elsie Tafuna I am 15 years of age and I offer provided services to anyone who needs extra support.